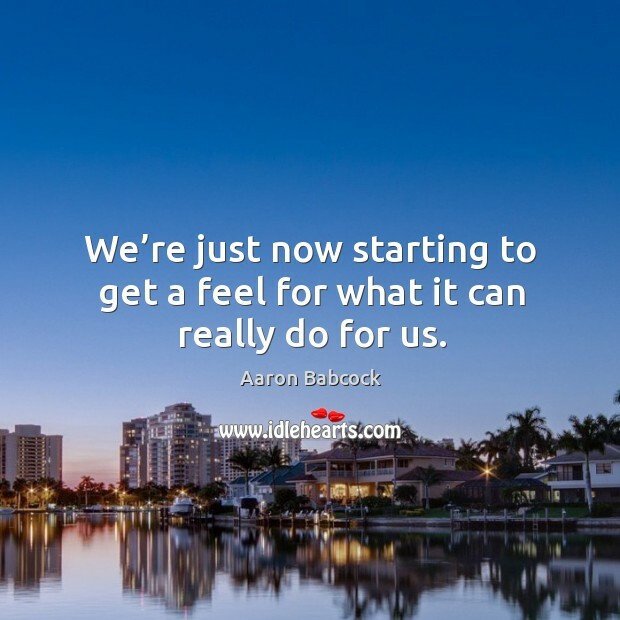 Enjoy the best inspirational, motivational, positive, funny and famous quotes by Aaron Babcock. Use words and picture quotations to push forward and inspire you keep going in life! We’re just now starting to get a feel for what it can really do for us. 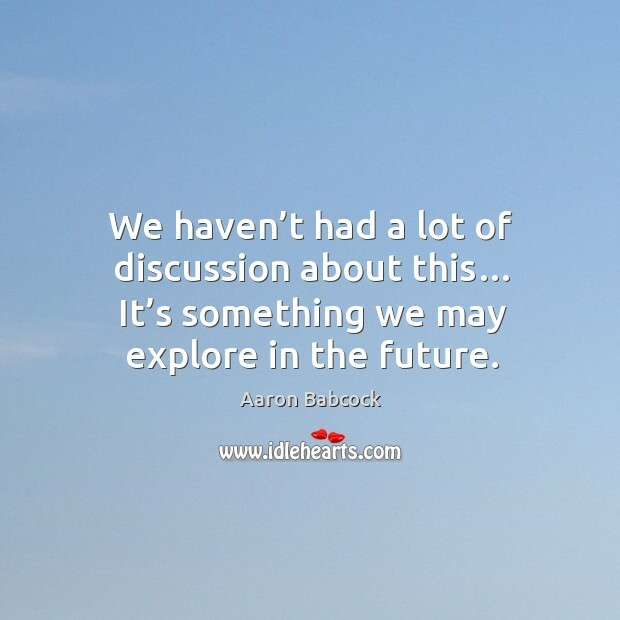 We haven’t had a lot of discussion about this… It’s something we may explore in the future.